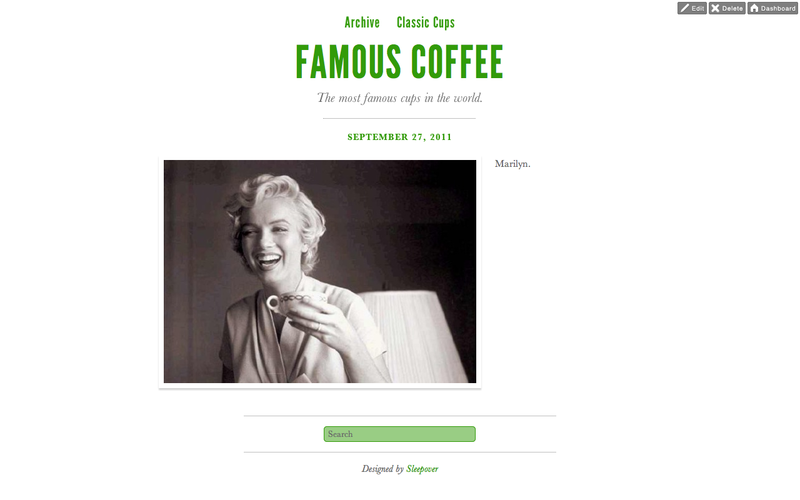 Famous Coffee is being featured on http://delicious.com/today. That’s right! Yours truly. In the spirit of National Coffee Day I created a stack (A newly added site feature) using links from my latest microblogging experiment. It’s apparent that the team at Del.icio.us was into it and chose to feature it on their homepage. Very cool. For those of you who are not familiar, Tumblr. is a largely popular microblogging or tumbleblogging site. In fact, the site boasts over 13 billion page views a month. Lately I’ve been stumbling across articles that highlight some of the most interesting Tumblr. blogs. My favorites include Dancing Dads, Crap At My Parents House and Lunch Bag Art . I’ve had my own Tumblr. account for some time, but I was inspired by what the creatives on Tumblr. were doing with these unique microblogs and decided to get creative myself. Famous Coffee is a Tumblr. blog dedicated to posting pictures of famous figures drinking coffee. On the blog I’ve included a complete archive and a separate page dedicated to classic coffee drinking icons. It’s interesting to see coffee as a constant throughout time. 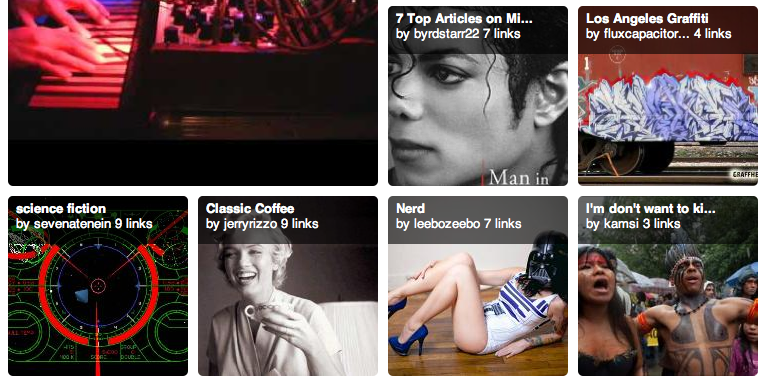 From Marilyn Monroe to Brad Pitt to Barack Obama; my coffee/celeb mashup is definitely worth a gander.